Want to say welcome to my new bloggers and thank you for following. 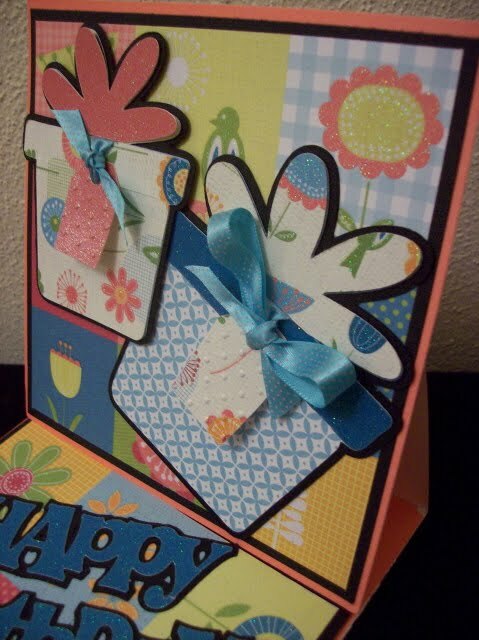 I am entering this easel card into the Cuttlebug Challenge. 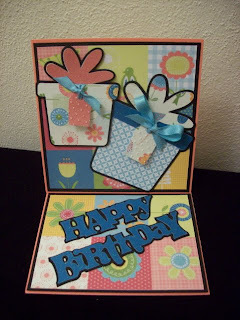 I used the Doodle Charms and Stamping carts for this card and used the Swiss Dots as well for the tags. I hope you enjoy my take on this. Welcome to our Cuttlebug Challenge for this week! Receiving a fun card is a delight for just about everyone, and an Easel Card is one of the most versatile design options for creating something extra special! Basic instructions are to fold a 4.25 x 11 paper in half, and then fold the top piece in half again, creating the easel. (All measurements are flexible to accommodate your desired finished size.) Add your focal point to the front panel, and create a "bumper" on the base...and you have it! 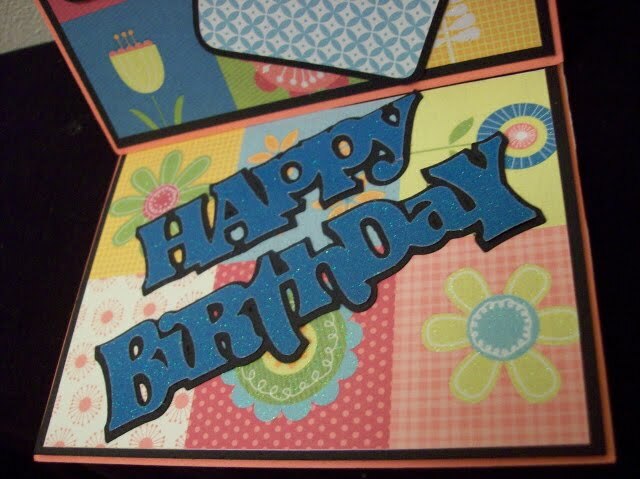 This card will fold flat to fit into an envelope, but opens up to delight the receiver! This is a great card using the cricut!!! Just love it!!! Thanks so much for joining us this week at the Cuttlebug Challenge Blog!